"The statute is ambiguous on the question whether 'distribution' includes the display of animals by a fixed-site commercial enterprise. And, given Congress's intention to regulate zoos, which are notably stationary and which could potentially exhibit animals that are neither purchased nor transported in commerce, we cannot see how the Secretary's (of Agriculture) interpretation of 'exhibitor' is unreasonable." 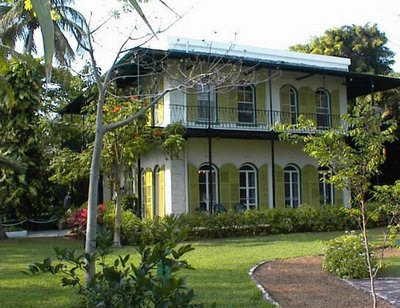 The historic and culturally iconic Ernest Hemingway Home and Museum in Key West lost its latest and by far most important legal battle to protect the prerogatives of its forty-four or so resident felines on December 7th when a three-judge federal panel sitting in Atlanta unanimously decreed that the national government has the authority to micromanage the intimate details of their everyday existence. Specifically, the court upheld orders issued by the Animal Plant Health Inspection Service (APHIS), which is a division of the United States Department of Agriculture (USDA), that the museum, inter alia, purchase an exhibitor's license. The court also sustained the agency's inhumane demands that the cats be tagged and caged individually at night. The museum additionally was instructed to include elevated resting areas within their cages. In order to prevent them from roaming, APHIS previously has decreed that the museum either string an electrified wire across the top of the brick wall which surrounds the one-acre estate or construct a higher fence. It also wants the museum to employ a nightwatchman in order to make doubly certain that the caged cats do not somehow manage to imitate the great Harry Houdini and leave the grounds anyway. Not only does this outrageous ruling portend dire consequences for the museum's cats but it poses an ominous threat to the liberties of cats and their caretakers all across the country. Not contented with the en masse feline eradications carried out by the USDA's Wildlife Services and the Interior Department's United States Fish and Wildlife Service (USFWS), the Pentagon, and other departments, the feds now have a legal mandate, under certain circumstances, to abuse and kill cats residing even in private homes and businesses. The cats in this case are special not only due to the fact that half of them are polydactyls but also because they are believed to be a living monument to Hemingway himself. In particular, it is theorized that they and their antecedents have resided at the spacious southern colonial house at 907 Whitehead Street ever since 1935 when sea captain Stanley Dexter gave a female polydactyl named Snowball to the author's sons, Pat and Greg, in return for some errands that they had run for him. They belong to different breeds and come in various shapes, sizes, and personalities. Most of them are named in honor of famous persons and they are said to be proficient mousers, fiercely independent, and lucky. Now, some seventy-eight years later on the cats, who not only have persevered in the face of great obstacles but never troubled anyone in the least who was not an outright ailurophobe, have had their longtime home invaded and are being treated as criminals by a gaggle of rogue, cat-hating bureaucrats and a judicial system far too cowardly and subservient to authority to stand up for either justice or common sense. Instead, the judges of the United States Court of Appeals for the Eleventh Circuit, who issued the ruling, have done somersaults and pirouettes all around the law, logic, and truth in order to uphold this egregious assault upon the liberties of cats and their guardians. The slick thirteen-page opinion in this case, 907 Whitehead Street, doing business as Ernest Hemingway Home and Museum v. United States Department of Agriculture, Dr. Chester A. Gipson, deputy administrators of APHIS, was written by Chief Judge Joel Fredrick Dubina and joined by circuit judge William H. Pryor, Jr. Eighty-eight-year-old senior judge James Clinkscales Hill came along for the ride but it was a foregone conclusion from the start that he was not going to make any waves for his longtime employer even if he still should have some of his marbles. 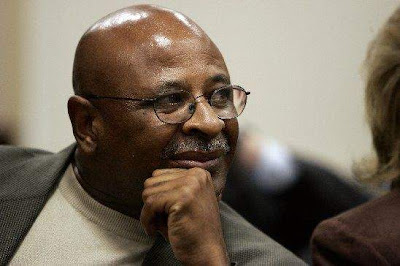 The fact that someone like him is still deciding cases underscores the appalling shortage of judges at both the District and Appellate court levels. This is due primarily to Barack Obama's abysmal failure to get his nominees confirmed by a Senate that his own party controls. Whether in power or the opposition, the Republicans have run the show in this country for more than forty years. The outcome of this case hinged on how the judges voluntarily chose to define such equivocal and ambiguous terms as "exhibitor" and "distribution" within the context of the ghoulishly misnomered Animal Welfare Act (AWA) of 1966. A second legal question concerned the federal courts' ever-changing definition of interstate commerce and the scope of Congress's authority to regulate it under Article one, section eight, clause three, of the United States Constitution which is better known as simply the commerce clause. From the very outset the museum contended that it was not exhibiting animals within the meaning of the AWA. Secondly, it argued that since its cats never have been either sold or transported across state lines that it was not engaged in interstate commerce. Thirdly, it contended that the AWA does not authorize federal preemption of a field already policed by local and state animal protection groups. Systematically and one-by-one, Dubina rejected out of hand all of the museum's defenses and handed APHIS a tabula rasa victory. He began his offensive by pointing out that the AWA defines "exhibitor" as "any person (public or private) exhibiting any animals, which were purchased in commerce or the intended distribution of which affects commerce, or will affect commerce, to the public for compensation, as determined by the secretary (of Agriculture)." Not surprisingly, APHIS has bestowed upon itself the widest latitude possible by defining an exhibitor as anyone who simply makes animals available to the public and, accordingly, since the museum charges admission to its grounds, $13 for adults and $6 for children, it is exhibiting cats. That is sheer lunacy when applied to cats and anyone who ever has attempted to exhibit one of them for any reason could have enlightened both Dubina and APHIS. Why, it is practically impossible to get one to sit still long enough in order to be even photographed let alone exhibited for pay unless, that is, it has been specifically trained for that purpose. 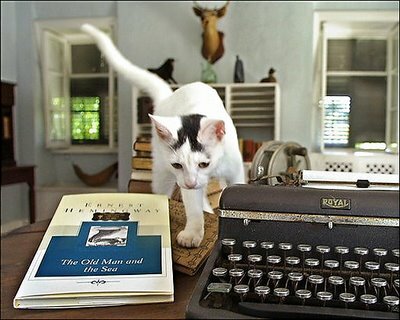 The cats simply reside at Hemingway's old abode just as they have done for decades. Tourists come and go all the time during business hours and they no doubt occasionally manage to catch glimpses of them scurrying about, but for the most part they either are in hiding, sleeping, hunting, or roaming. None of them have undergone any specialized training and they most definitely do not perform tricks for tourists or anyone else for that matter. Their activities and behavior consequently are vastly different from those of caged and, often, drugged animals that are owned and maintained specifically so that they can be exhibited to the public for recompense. "There is no war between the Constitution and common sense," Justice Tom C. Clark wrote for the United States Supreme Court in Mapp v Ohio, 367 US 643 (1961). Perhaps not but in this instance Dubina and his colleagues have behaved as if they were two entirely different things. More to the point, both Dubina and APHIS are guilty of, as the Chinese are fond of saying, drawing legs on a snake and their analogy is at odds with reality. Doubters are, of course, free to try exhibiting an uncaged cat. In respect to the commerce clause, the United States District Court in Miami, which first heard the case, concluded that the museum indeed was involved in interstate commerce, not because it sold cats, but rather because it had given away some of them. The appellate court wisely chose to sidestep that part of the ruling because if it had affirmed such sottise anyone so much as giving away kittens, puppies, or any other animals could have been subjected to surprise visits and fines from APHIS. Instead, Dubina chose to concentrate his energy on defining the meaning of "distribution" within the AWA. As he did with "exhibitor," he accepted APHIS's open-ended interpretation of the term without so much as a second thought. Right off the bat he agreed with the agency that the museum was guilty of distributing cats simply by using them in its promotional materials which have included, inter alia, print media, television, web pages, webcams, and videos. 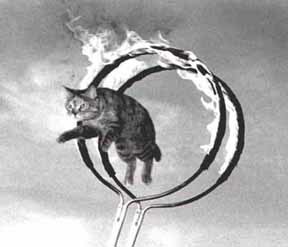 The museum countered by arguing that if it removed the cats from its promotional campaign it no longer would be subject to the strictures of the AWA. Dubina quickly put the kibosh to that argument by ruling that "the museum distributes the cats in a manner affecting commerce every time it exhibits them to the public for compensation." In reaching that conclusion, he categorically rejected the museum's contention that "distribution" was synonymous with transporting animals. It thus follows that, at least according to Dubina and his colleagues, "distribution" within the meaning of the AWA applies to intrastate fixed-site locations. The only concession that he made to the museum was to admit to the murkiness of the law. "The statue is ambiguous on the question whether 'distribution' includes the display of animals by a fixed-site commercial enterprise," he conceded. "And, given Congress's intent to regulate zoos, which are notably stationary and which could potentially exhibit animals that are neither purchased nor transported in commerce, we cannot see how the Secretary's interpretation of 'exhibitor' is unreasonable." Of all of Dubina's forays into contorted logic that is the most ridiculous simply because the museum is not a zoo and house cats are not exotic animals no matter what his buddies at the USFWS claim to the contrary. Secondly, zoo animals are almost exclusively imported from abroad and most often in violation of, at least the spirit, the Convention on the International Trade in Endangered Species of Wild Fauna and Flora (CITES). Then after taking note of the museum's two-hundred-fifty-thousand annual visitors and its sale of cat-related merchandise in its gift shop on top of its use of them in promotional advertising, Dubina capped off his exposé in crabbed logic by handing APHIS the victory it has so desperately coveted for the past decade. "We conclude that the museum's exhibition of the cats substantially affects interstate commerce," he decreed. As most people realize, the commerce clause is one of the tools that Congress employs whenever it wants to do something that falls outside the purview of the enumerated powers granted it under Article I of the Constitution. Throughout the history of this nation the Supreme Court has at times allowed Congress to get away with almost anything while at other times it has acted as a stick-in-the-mud in order to thwart progressive and desperately needed legislation. The commerce clause is, in other words, an almost unlimited grant of power that can be used for either good or evil by both Congress and the Supreme Court. In Gibbons v Ogden, 22 U.S. 1 1824), Chief Justice John Marshall and the court ruled that the power to regulate interstate commerce included the authority to regulate interstate navigation. In Swift and Company v United States, 196 U.S. 375 (1905), the court upheld Congress's authority to regulate a Chicago meat manufacturer under the Sherman Anti-Trust Act which was passed pursuant to the commerce clause. In NLRB v Jones and Laughlin Steel Corporation, 301 U.S. 1 (1937), the court sustained Congress's authority under the Wagner Act to outlaw discrimination against labor unions. In Heart of Atlanta Motel v United States., 379 U.S. 241 and Katzenbach v McClung, 379 U.S. 274, both decided in 1964, the court upheld Congress's authority under the Civil Rights Act of 1964 and the commerce clause to end racial discrimination in lodging establishments and restaurants. At other times, the court has reined in Congress by striking down legislation passed under the clause. Most notably, in Schechter Poultry Corporation v United States, 295 U.S. 495 (1935), also known as the sick chicken that killed the blue eagle, the court rebuffed efforts to regulate the intrastate poultry business. A year later the court in Carter v Carter Coal Company, 298 U.S. 238, decreed that mining is not interstate commerce. More recently, the court has turned aside congressional initiatives under the commerce clause to create gun-free school zones in Lopez v United States, 514 U.S. 549 (1995) and to make domestic violence against women a federal crime in Morrison v United States, 529 U.S. 598 (2000). On June 28, 2012, an attempt by the Obama Administration to have the court sustain the constitutionality of the individual mandate of the Patient Protection and Affordable Care Act (PPACA), more popularly known as Obamacare, under the commerce clause fell short by one vote in Independent Businesses et al. v Sebelius, Secretary of Health and Human Services, 567 U.S. _. The legislation was saved, however, when Chief Justice John G. Roberts took the extraordinary step of rewriting the law in order to uphold the mandate under Congress's power to lay and collect taxes. Nevertheless, Justices Ruth Bader Ginsburg, Stepher G. Breyer, Sonia Sotomayor, and Elena Kagan voted to uphold the mandate under the commerce clause. That case was, inter alia, an appeal of an August 12, 2011 ruling authored by Dubina and Justice Frank M. Hull in State of Florida et al. v United States Department of Health and Human Services where they had declared the individual mandate to be unconstitutional under the commerce clause. On that occasion Dubina was not nearly so deferential to congressional intent as he was in 907 Whitehead Street v USDA. Whereas it is readily granted that using the commerce clause in order to force private citizens to purchase health insurance is radically different from employing it to restrict the liberties of domestic cats, Dubina's hypocrisy and inconsistencies are disturbing for a number of reasons. First of all, in 907 Whitehead Street he proclaims to the high heavens his abiding respect for the judgment of Congress. "But when 'the statute is silent or ambiguous with respect to a specific issue' and an administrative agency has interpreted the statue, courts are bound to show deference to the agency's reasonable interpretation, so long as it is not 'arbitrary, capricious, or manifestly contrary to the statute'," he proclaimed citing Chevron USA, Incorporated v National Resources Defense Council, Incorporated, 467 U.S. 837 (1984) as his guide. By way of contrast, the only consolation that Hemingway's cats and their caretakers received from him was a few meaningless crocodile tears. "Notwithstanding our holding, we appreciate the museum's somewhat unique situation, and we sympathize with its frustration," he conceded. "Nevertheless, it is not the court's role to evaluate the wisdom of federal regulations implemented according to the powers constitutionally vested in Congress." If he truly believed a single word of either that or what the Supreme Court said in Chevron he would not have declared the individual mandate unconstitutional in State of Florida et al. 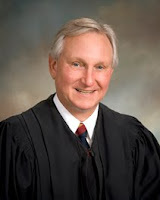 Much more importantly, if blind adherence to the decrees issued by both Congress and federal bureaucrats is all that is required of judges then the courts might as well be stripped of their authority to review laws that Marshall appropriated for them in Marbury v Madison, 5 U.S. 137 (1803). The long and the short of the matter is that the opinions handed down by all judges are highly subjective in nature. If they agree with something that either legislators or bureaucrats have done they sustain it; on the other hand, if they disagree they strike down either the law or regulation in question. Judges of all political persuasions and judicial temperaments behave in the same manner. Take, for example, Supreme Court Justice Antonin Scalia who for decades traipsed around the country gassing about a dead constitution. Yet, when he was able to muster enough votes from his colleagues on the bench he resurrected it almost as fast as Jesus allegedly crawled out of the crypt in order to create in Citizens United v Federal Election Commission, 558 U.S. 310 (2010), a First Amendment right for corporations and labor unions to corrupt the entire electoral process with unlimited spending. He and his colleagues did the same thing with the Second Amendment in District of Columbia v Heller, 554 U.S. _ (2008) and McDonald v Chicago, 561 U.S. _ (2010) which up until then never had been construed by the court as bestowing upon citizens a personal right to own and bear firearms. Those two outrageous decisions are destined to make it virtually impossible to ever get gun violence under control even if a majority of Americans ever should get serious about doing so. It thus is plainly clear that the objective of the game is to win; the only difference is that it matters mightily who wins and what they stand for and are advocating. After all, not all values, morals, truths, and visions of the future are of equal value. Returning to the issue at hand, a strong case could be made that when it comes to delineating the scope of federal authority under the commerce clause, Dubina has his priorities all wrong. That is immediately noticeable in that he disposed of the concerns of Hemingway's cats and the museum in thirteen pages whereas he devoted more than two-hundred pages to striking down the individual mandate. The ramifications of both rulings are in no way commensurate, however, with the amount of sweat that dripped from his brow while writing them. For instance, if his invalidation of the individual mandate in State of Florida et al. had been sustained by the Supreme Court those without affordable health insurance would not have been in any worse shape than they were before Congress acted. Even now that the statute has been upheld the worst that can happen to them is that they will be penalized in the form of a tax. Besides, even they probably will be able to find some way to finagle either getting on Medicaid or avoiding the penalty altogether. The consequences of his holding in 907 Whitehead Street are not nearly so benign. "We (the museum and its cats) are now at the mercy of the agency (APHIS)," the museum's longtime attorney Cara Higgins told The New York Times on December 22nd. (See "Cats at Hemingway Museum Draw Tourists, and a Legal Battle.") "It's silliness; it's just got insane. This is what your tax dollars are paying for. The agents (of APHIS) are coming down here on vacation, going to bars and taking pictures of cats." Weary from scrapping with APHIS for a decade, the museum's chief executive officer, Michael A. Marowski, still is trying to figure out what has hit him. "I'm still dumbfounded," he confessed to the American Thinker of El Cerrito on December 21st. 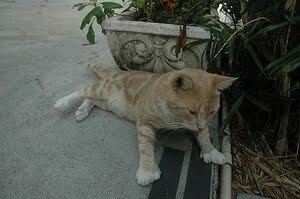 (See "In Key West, the 'Hemingway Home' Battles Feds over Cats.") "This is overreach by the federal government. We're a local business. Our goods don't go outside of Key West. So how could we be involved in interstate commerce?" Later in that same year APHIS threatened to steal the cats. "There's always a possibility of confiscation," the agency's Darby Halladay told USA Today on December 26th. (See "The Plot Thickens for Hemingway Cats.") "The likelihood of that occurring, I can't state. But it is a remedy." In 2008, Chester A. Gipson, deputy administrator of animal care for APHIS since 2002, entered into a temporary entente with the museum whereby it was granted a temporary exhibitor's license in return for, inter alia, extending the height of the perimeter barrier around the estate, adding a few special bowls designed to drown bugs, securing the cats' cages, and installing a $15,000 sprinkler system presumably to help deter the cats from leaving the grounds. Exactly what the implementation of those edicts has meant in terms of the cats' daily existence never has been spelled out in press reports but it in no way could be beneficial. Of particular concern is how many hours a day that they are warehoused in cages. Since APHIS regards them as circus performers, presumably that entails that they must be cruelly locked up all the time except for when the museum is open to the public, which is every day of the year but only from 9 a.m. until 5 p.m. Furthermore, it is a foregone conclusion that the agency has mandated that they never leave the estate. The accord was entered into without prejudice to the museum's ongoing lawsuit. Since then, however, APHIS has prevailed at both the District and Appellate court levels and now has the museum at its mercy. The agency conceivably could leave the existing agreement in place but that seems highly unlikely in that it surely has additional devilry up its dirty sleeve. For example, it could mandate that all the cats be sterilized and that would be the end of the line for the polydactyls. It also could mandate expensive, needless, and even harmful vaccinations and the implantation of cancer-causing microchips. Painful onychectomies and control of their diets are two additional avenues that it might pursue. It also is unclear if the museum is still on the hook for the exorbitant fines levied against it for having the temerity to defy the big shots in Washington. Should it choose to do so, APHIS could fine the museum out of existence and then seize both it and the cats without paying just compensation as normally required under the Fifth Amendment. It already is subject to annual surprise inspections in violation of, at least the spirit, of the Fourth Amendment and any evidence seized subsequently can be used against it in a court of law without the possibility of being suppressed under the exclusionary rule as announced by the Supreme Court in Mapp and Weeks v United States, 232 U.S. 383 (1914). In State of Florida et al., Dubina labeled Congress's action as a "novel and potentially unfounded assertion of congressional authority" without any "generally applicable judicially limiting principle" and that is even more so the case with what APHIS is doing to the cats and the museum. Even more outrageously, neither the District nor the Appellate courts have shown the least bit of interest in safeguarding the rights of either of them. The museum's situation indeed is perilous but it has at least three arrows left in its quiver. It could, for example, ask for an en banc retrial from the appellate court whereby the case would be heard before a panel consisting of five or more judges. Following that, the museum's sole remaining judicial remedy would be a direct appeal to the Supreme Court but that is a course of action fraught with dangers that extend far beyond the welfare of its own cats. As things now stand, Dubina's ruling is applicable only in the states of Florida, Georgia, and Alabama which comprise the Eleventh Circuit. Should the museum lose in the Supreme Court, however, his ruling then would be the law of the land in all fifty states, the District of Columbia, and overseas' territories controlled by the United States. That should not necessarily deter Marowski because APHIS already most assuredly is going after cats in a similar fashion elsewhere around the country just as it is doing in Key West. Besides, there always is a small chance that the museum might ultimately prevail and that would deal APHIS and the remainder of the federal apparatchik a major setback in their all-out war against cats. Even if the museum lost public outrage eventually might prompt Congress to rein in APHIS. That is precisely what happened in the aftermath of the Supreme Court's utterly disgraceful ruling in United States v Stevens, 599 U.S. _ (2010) when it refused on First Amendment grounds to protect the lives of innocent kittens, puppies, and other animals from being abused and even killed during the making of crush videos. Congress, to its eternal credit, responded by enacting the Animal Crush Video Prohibition Act of 2010 and Obama signed it into law on December 9th of that year. After having ponied up between $500,000 and $600,000 in legal fees on top of perhaps as much as another $200,000 in renovations in a futile attempt to appease APHIS, Marowski is contemplating a radical change in strategy. "We're better off investing our money back into the business and employees," he told the American Thinker in the article cited supra. "So I think we're probably dealing with a legislative issue now." In plain English, he has decided to solicit the assistance of right-wing lunatic Republicans Ileana Ros-Lehtinen, who represents Key West in the House of Representatives, and Marco Rubio, who along with Democrat Bill Nelson, represents the State of Florida in the Senate. Neither of them, however, are members of either the House or Senate Agriculture committees which have oversight of APHIS and the USDA. 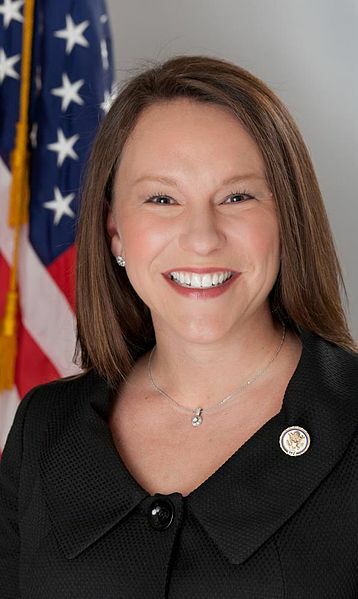 Interestingly enough, Dubina's daughter, Martha Roby, who represents Alabama's second congressional district, does serve on the House's Agriculture Committee. It therefore is unlikely that she would be favorably disposed to overturning her old man's ruling. Moreover, if Marowski thinks that legal assistance is expensive he has another thought coming once he attempts to get any assistance out of his representatives in Congress. Generally speaking, politicians in this country are so corrupt that they are totally unwilling to do anything positive for either anyone or even the common good unless they first are handsomely compensated in the form of generous campaign contributions. As far as APHIS is concerned, a lack of wherewithal is the least of its worries. With swanky regional offices in Riverdale, Maryland, Raleigh, North Carolina, and Fort Collins, Colorado, its seven-thousand employees divvy up an annual budget of $800 million. That works out to an average of $77,669 that it has to spend on each of the ten-thousand-three-hundred facilities that it regulates. Should it require additional moola, the USDA surely would be willing to give it some of its more than $132 billion annual budget. That is a rather substantial amount of coin to be doling out to one-hundred-six-thousand federal employees who are, for the most part, politically unaccountable. The ramifications of Dubina's ruling for cats and their owners elsewhere is nothing short of totalitarian in nature. For instance, the authors of books, bloggers, and even those who post cat videos on YouTube are now subject to the caprices of APHIS if they accept any form of compensation for their work. The same also is true of breeders, groomers, and veterinarians who not only offer cats and other animals to the public for a price but feature them prominently in their promotional advertising. His ruling additionally could be construed to even include library cats. In short, virtually any animal kept on premises where money exchanges hands in any fashion, such as an office cat, magically transforms its owner into an exhibitor within the meaning of the AWA. Agricultural, horse, and pet shows, fairs, game preserves, hunting events, private collectors who do exhibit, and frogs killed for dissection are explicitly exempted from the act. It nevertheless boggles the mind that Congress and APHIS would exempt cat and dog shows, which rake in millions of dollars each year, from the act while including purely domestic cats, such as those belonging to the museum. 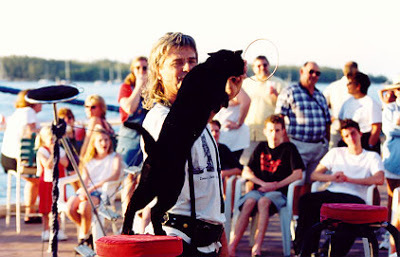 It also would be very interesting to know how APHIS treats street performers because less than seven-tenths of a mile up Whitehead Street at Mallory Pier a transplanted Frenchmen named Dominique LeFort has been performing with his specially trained cats for almost thirty years. Worst still, these horribly abused animals are forced to, inter alia, jump through miniature hoops and rings of fire as well as to climb ropes for their supper. When he is not performing in Key West, LeFort takes his act on the road across the United States and Canada. Plus, he and his cats have been featured numerous times on radio, television, and in print. He also does a flourishing business selling T-shirts, post cards, and videos in addition to having his own web site. 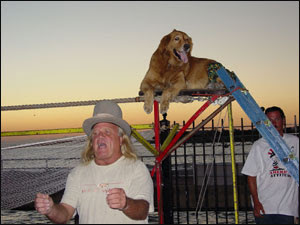 Performing on the same venue with LeFort since 1987 in Jeep Caillouet and his dogs who have been trained not only to walk on tightropes but also to swallow balloon swords. Like LeFort, he also travels around the country and has been featured on television and sans doute in other media as well. Since APHIS's inspectors and undercover agents have spent so much time in Key West over the past ten years they surely are well aware of both LeFort's and Caillouet's activities. While it is conceivable that both acts have been licensed as exhibitors that does not seem likely. That is because thousands of cats and dogs as well as a smattering of other animals are exploited by both street performers and panhandlers in order to make an easy buck. This naked abuse occurs from sea to shining sea but is perhaps most noticeable in the streets and underground railroad stations of New York and San Francisco. Early last year, for example, the Clark County Commission passed an ordinance banning animals from the Strip in Las Vegas between noon and 5 a.m. each day but enforcement has been lax. The mere fact that the commission was forced to act makes it pretty clear that APHIS was not involved in the decision. In one particularly disturbing case, thirty-nine-year-old Rebecca Lemon and thirty-year-old Nick Tsiomos have shanghaied a handsome two-year-old, yellow-colored tom named Cheddar into posing for photographs with tourists in 90° Fahrenheit heat. It would be a small wonder if he since has not succumbed to heat exhaustion. The dirty little secret about the AWA is that it does absolutely nothing to combat the exploitation, abuse, and killing of animals. For starters, birds, lab mice and rats, farm animals, and coldblooded ones are excluded entirely from its purview. Even more shockingly, the best that the cats, dogs, hamsters, rabbits, non-human primates, guinea pigs, and certain other unspecified warm-blooded animals covered by the act can expect in the way of humane treatment is to be fed, watered, and provided with enough cage space in order to turn around. Otherwise, even these animals can be mercilessly tortured to death in research laboratories and at other facilities. C'est-à-dire, the only thing that concerns APHIS is that they receive a bare minimum of daily care; cruelty is irrelevant as far as it is concerned. "If the animal is covered by the act, we don't make distinctions," David Sacks of APHIS told The New York Times in the December 22nd article cited supra. "We regulate them." APHIS's coldblooded, uncaring attitude toward his cats has, not surprisingly, left Marowski flabbergasted. "The most ludicrous part of the whole thing is that if we were really dealing with the health and welfare of the cats, this would have never been an issue," he told The Times. That does not necessarily mean, however, that serious concerns have not been raised about the cats' welfare. On its web site, the museum states that veterinarian Edie Clark looks in once a week on them in order to perform routine health maintenance. She also handles annual vaccinations, deworming, and treats them for fleas and ear mites. That is all well and good but it hardly addresses all the concerns that have surfaced in the past. First of all, a cat named Toby was struck and killed by a motorist after leaving the compound. It is not known how many additional cats have been either killed or injured by motorists but clearly the museum needs to do a much better job of protecting them. Without knowing how busy the streets in and around the museum are it is difficult to say what should be done. 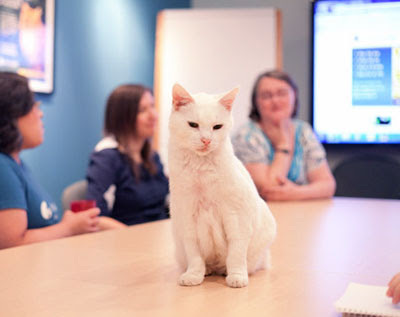 Another issue concerns the museum's care of ailing cats. In particular, it has been accused of failing to properly treat Mark Twain's cancer. For the museum to tout vaccinations and flea powder as the alpha and omega of proper veterinary care is almost as disingenuous as for Congress to legalize the wholesale torture and killing of trillions of animals each year and then to call it the AWA. The key question is how the museum treats its aged, sick, and injured cats. Of course, it goes almost without saying that anyone even remotely associated with the Florida Keys SPCA certainly has a lot of room to pontificate in light of that agency's utterly disgraceful willingness to liquidate every cat that the diabolical USFWS forcibly removes from the Florida Keys. "Rarely has anyone wanted to adopt a feral cat," the organization's Connie Christian told the Keynoter of Key West on January 5, 2011. (See "Not Everyone Happy with Refuges' Predator Plan.") "Then there is no option (but to kill them)." Before the Florida Keys SPCA begins criticizing the museum or anyone else for that matter it first should stop its en masse slaughters of innocent cats and, above all, cooperating with the USFWS in the commission of its wholesale, heinous crimes against the species. Ironically, it is precisely that organization which is responsible for the museum being called on the carpet by APHIS in the first place. That came about when Marowski committed the grievous error of hiring the agency's former vice president Debbie Schultz to trap and sterilize the museum's cats. She, as it turned out, is a sterilization fanatic who came dangerously close to spaying and neutering the polydactyls out of existence. Along the way she also developed an intense animus for Ivan not only because he was spreading around the love but for cadging vittles from the TNR feeding stations that she had established around town. Marowski therefore was left with no alternative but to fire her and she in return retaliated by ratting out the museum to APHIS. It never has been explained, however, why Gipson and his henchmen elected to do her dirty work for her. After all, politicians and bureaucrats in this country are infamous for turning a deaf ear to the concerns of all but the rich and powerful. Schultz either could have known someone at the agency or Gipson simply was looking for any excuse, no matter how frivolous, in order to go after cats. Soon thereafter inspectors from APHIS started turning up at 907 Whitehead Street in order to conduct unannounced, warrantless inspections of the cats. They were followed close at heel by undercover agents and an animal behaviorist from the agency as well as a veterinarian from the University of Florida in Gainesville. A federal judge from Miami even once led a field trip to the museum. In between the District and Appellate court rulings there also were administrative hearings but APHIS refused to be appeased and the museum would not relent. If Marowski truly cared about the cats the easiest thing for him to do would be to close the museum to the public and that likely would be the end of the matter. That is not about to happen, however, because he has turned it into a gold mine that rakes in millions of dollars each year. His attorney tries hard to deny it, but it is suspected that it is precisely the cats, not Hemingway, who pull in the big bucks. "If we had a six-toed cat zoo, we wouldn't get those numbers (of tourists)," Higgins swore to The New York Times in the December 22nd article cited supra. If that were true and the cats are merely a sideshow, it is doubtful that Marowski would have spent the last decade fighting with APHIS in order to protect their liberties. 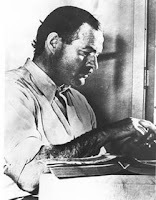 Twenty-eight-year-old Elizabeth Zettler of Jacksonville, for instance, visits the museum once a year and it is not to see either Hemingway's old typewriter or the urinal that he purloined from Sloppy Joe's Bar. "Hemingway gets you here the first time," she told The New York Times. "But the cats keep us coming back." 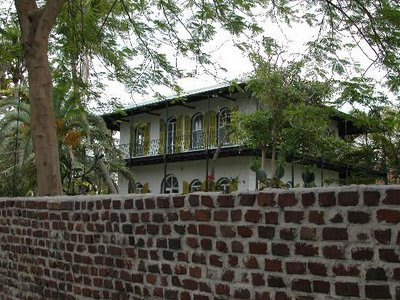 The historical record is not exactly clear but Hemingway lived in the house off and on between 1931 and 1940. Even during that period he was spending his summers in Wyoming. Plus, he was away a good deal of the time sailing in the Caribbean and living in Spain while reporting on its civil war during 1937-1938. After 1940 and up until his suicide in 1961, the author spent his winters at Finca la Vigia in San Francisco de Paula, nine miles outside of Havana, and his summers in Ketchum, Idaho. The museum does state on its web site, however, that during the 1950's he did occasionally use the house as a hotel during stopovers between Cuba and Idaho. Hemingway's second wife Pauline Pfeiffer and their two sons continued to live there until her death in 1951. The house then stood vacant for the next ten years although a caretaker, Toby Bruce, lived on the grounds. Bernice Dixon, a distant relative of Marowski, purchased it in 1961 for $80,000 and it opened as a museum in 1964. It therefore is anyone's guess as to whether the polydactyls now living there are the direct descendants of Snowball as the museum claims. Even if that is true they owe their perseverance to unnamed others and certainly not to the author. As far as cat owners go he was the absolute pits and that dire assessment is based upon far more than his abject negligent and abandonment of them. While it is true that he became an ardent admirer of them at Finca la Vigia and even became a breeder, none of that deterred him from putting a bullet in the head of Miss Uncle Willie after she was run down by a motorist and suffered two broken legs. "Certainly missed you. Miss Uncle Willie. Have had to shoot people but never anyone I knew and loved for eleven years," he wrote to Gianfranco Ivancich in February of 1953. "Nor anyone that purred with two broken legs." In the final analysis it largely is no longer relevant that Hemingway killed and deserted cats or even if those now living in Key West are not the direct descendants of Snowball. All that matters is that their liberties are respected, they are treated well, and that they receive veterinary treatment, not jabs of sodium pentobarbital, whenever they become either sick or injured. Above all, they should not be caged under any circumstances. None of that is in the cards at present. APHIS is out to get them and serious questions have been raised about the museum's care of them. It is, however, the horrific events that recently unfolded on San Nicolas Island that reveal the true intentions of the feds. After mercilessly shotgunning to death an estimated one-hundred-fifty cats, the USFWS allowed the Humane Society of the United States (HSUS) to remove approximately fifty of them from the island to a location on mainland California. The United States Forest Service, another division of the USDA, and the National Parks Department, a branch of the Interior Department, and governmental research laboratories also abuse and kill cats with impunity. In fact, the feds' abuse of cats is so pervasive that it actually might be easier to enumerate the departments that do not abuse and kill them because that list indeed would be a brief one. In conclusion, those who naïvely believe that the welfare of homeless cats does not matter are making a colossal mistake because their defamation and eradication is merely the apéritif as far as the feds and others drunk on ailurophobia are concerned. 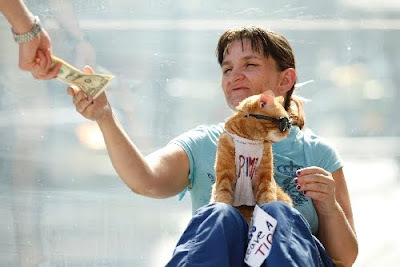 Thanks to the ruling handed down by Dubina and the United States Court of Appeals for the Eleventh Circuit they now have a mandate to abuse, and conceivably kill, cats that are in any fashion connected with income-producing activities. If they are not stopped, they soon will be invading living rooms and sitting parlors all across America during the same thing. After all, APHIS undoubtedly has plenty more flatheads and stooges on the federal bench like Dubina who are ready, willing, and able to do its bidding. Photos: Alabama State Bar (Dubina), Trip Advisor (wall and house), The Tennessean (Gipson), House of Representatives (Roby), Palm Beach New Times (Lefort and Oscar), Boston Globe (cat jumping through a ring of fire), Sunset Celebration of Key West (Caillouet and Cleo), Jessica Ebelbar of the Las Vegas Review-Journal (Cheddar and Lemon), Cammy Clark of The Miami Herald (Ivan), Roberto Rodriguez of the Associated Press (Patches), and Wikipedia (Hemingway). "After nearly fourteen years together, they (Robinson and Wilcox) were by his side as he slipped away." Handsome and irrepressible Jared gave Alley Cat Allies (ACA) the last thirteen and one-half years of the fourteen that he spent on this earth but once the chips were down all that he received in return from his caretakers was a deadly jab of sodium pentobarbital. His death warrant was initialed by the organization's top dogs, Becky Robinson and Donna Wilcox, and his murder carried out sometime over the long Thanksgiving weekend by an unidentified veterinarian. Anemia can be treated and so, too, can kidney disease if it is not too far advanced. All that ACA has revealed is that emergency surgery was considered to be risky with the chances of a full recovery being rather slim. In making even that measured disclosure ACA is admitting to not only betraying Jared's love and affection but, much more importantly, of committing the unpardonable sin of killing off a treatable cat. That is because, first of all, killing cats under any circumstances is patently immoral. Secondly, Jared was entitled to absolute very best veterinary care that money can buy so long as there was any chance whatsoever, no matter how infinitesimal, of prolonging his life. ACA's refusal to continue treatment is all the more inexcusable in that it is as rich as Croesus and accordingly has money to burn although no one ever would know it considering its incessant online begging. Thirdly, even if he was beyond the help of veterinary medicine he should have been allowed to make his exodus on his own terms. His condition could have stabilized and even improved if he had been permitted to go on living. Miracles still happen ever now and again. Aegroto dum anima est, spes est. Jared never quit on life and ACA did not have any right to throw in the towel on him. Cats are, arguably, the best friends that anyone can have in this world and as such they are entitled to live for as long as possible. To abbreviate their already all-too-brief existences by so much as a single second is a crime of epic proportions. That is not only pathetic but dishonest as well because Jared simply did not slip away but rather he was coldbloodedly shoved aside in the name of expediency by ACA and its handsomely compensated, albeit thoroughly unscrupulous, handpicked executioner. Try as it may, ACA cannot sanitize murder and barefaced lies never will stand the test of time. By betraying and killing Jared, Robinson likewise is sending an unmistakable message to the world that the lives of ailing cats do not have any value. Neither she nor her organization ever could get away with ruthlessly killing another human being, no matter how sick, and they should not be allowed to snuff out the lives of innocent cats with impunity. The lives of cats are no less precious than those of humans. In fact, it could be argued with considerable force that their lives, as well as those of all other animals, are far more valuable simply because they are nobler, rarer, more beauteous, and qualitatively better citizens of this planet. Since ACA has not announced the final disposition of his remains it is a good bet that they either were burned or tossed out with the trash. It accordingly is unlikely that he received either a memorial service, a proper burial, or even so much as a tombstone. "We are grateful that Jared spent so many wonderful years with us," is how the organization eulogized him in the article cited supra. "He touched so many lives and he will be fondly remembered and deeply missed by all." That seems highly unlikely, especially when viewed against the backdrop of how eager ACA was to get rid of him. Quite obviously, the organization never viewed him as a moral equal endowed with certain inviolable rights; au contraire, it looked down upon him as a source of amusement and diversion all the while it was busily exploiting him as an unpaid, animated office prop. "...This pure white cat was truly one of the most colorful characters any of us have ever met," the organization declared in the article cited supra. It therefore has chosen to remember him for his big personality, fondness for potato chips, lying in the middle of conference tables, cadging food, and tapping staffers on the shoulder in order to gain their attention. As a consequence of such selfish and perverted thinking, Jared became expendable once he had become more of a burden that an asset to his owners. After all, the last thing that any organization with pretensions of protecting cats wants is a sick one lounging around its office its plain view. ACA further maintains that it had Jared killed in order to put an end to his suffering but that, as always, is a lie; he was liquidated because it was too lazy to care for him in his twilight years and too cheap to medicate him. Even the lives of terminally ill cats can be indefinitely prolonged through the application of, inter alia, pills, fluids, injections, and syringe feedings. Such treatment does not come cheap, however, and it requires at least one dedicated caretaker in order to be successful. Obviously, no one affiliated with ACA cared enough about him in order to provide him with a home and around-the-clock care for as long as he lived. After all that he did for the organization during his lifetime he deserved that much. Its absolutely abhorrent mistreatment of Jared raises serious questions about how ACA's has treated its other office cats in the past. In particular, how many of them has it dispatched to the devil with jabs of sodium pentobarbital once they had outlived their usefulness to it? Of more immediate concern is the welfare of Diana, Fergie, Oliver, Charles, and Jazzy who currently reside at its office in Bethesda, Maryland. In light of what the organization did to Jared, there can be little doubt that a similar fate awaits each of them a little bit farther down the road. The mere fact that ACA even has office cats stands in stark juxtaposition to its championing of an outdoor lifestyle for other cats. The import of such blatant hypocrisy would seem to be that the outdoor life is just fine for other cats but not nearly good enough for its own. Such duplicity is on a par with the behavior of Christians who hand out peanut butter and jelly sandwiches along with thimbles of Kool-Aid to the poor but never would touch such hog slop themselves even with a ten-foot pole. Like ACA and its cats, they view the down-and-out as inferior beings to be exploited and abused at will. The organization is not saying one way or another but in addition to depriving them of their freedom and fresh air, it presumably leaves them all alone in its office nights, weekends, and on holidays. At the very least staffers could take them home with them for overnight stays. 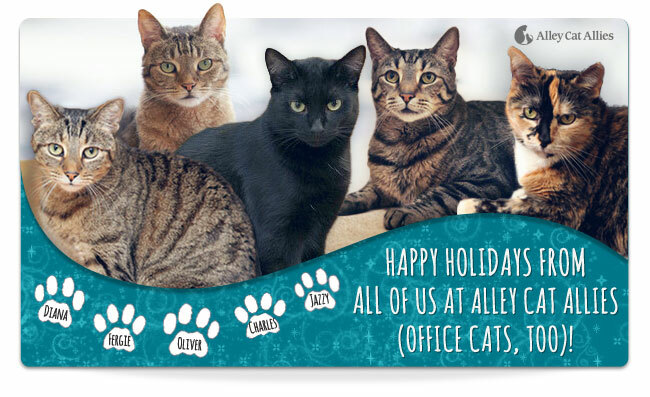 Better still, if ACA really cared about the happiness of its office cats it would, if possible, place them in homes with caretakers who are willing to make a lifetime commitment to them. Even that, however, must be done properly because private individuals, as well as organizations, abuse, abandon, and ultimately doom their cats by turning them over to shelters and veterinarians to kill. It additionally is well documented that indoor environments are, in most instances, far more polluted than the great outdoors. That is especially the case with modern offices that are located in self-contained buildings where the same old toxic and germ-ridden air is continuously circulated. These airtight, never ventilated, pollution repositories are especially hazardous to the health of cats due to not only to their substantially smaller organs but their incessant grooming as well. It is even doubtful that either air conditioning or the type of heat provided in these buildings could be beneficial for cats since they are forced to inhale them twenty-four hours a day. Even such mundane pollutants as dust, mold, and cleaning fluids can be lethal for cats. Persistent loud noises can damage their delicate hearing and it is doubtful that all the germs so indiscriminately spread by humans either working in or visiting offices could in any way be good for them. In older buildings, asbestos and lead paint are two additional concerns. Anyone who chooses to confine a cat indoors has a responsibility to remove these toxins from the environment. Although there is not much that can be done about self-contained buildings, wherever possible all houses and offices should be ventilated at least twice daily. ACA's neglect, mistreatment, and abject failure to respect the sanctity of all feline life is by no means limited to its office cats but rather extends to its mismanaged colonies as well. For instance, in August of 2011 it left the Boardwalk cats in Atlantic City all alone to face the wrath of Hurricane Irene. The organization turned in a repeat performance this past October when Hurricane Sandy roared through town. "If possible, move shelters and feeding stations to slightly higher, protected ground nearby," it counseled TNR practitioners in an October 26th web posting prior to Sandy's arrival. (See "Are You in the Path of Hurricane Sandy? Be Prepared!") "Fill multiple food and water bowls in case you can't return immediately." Despite that bit of gratuitous advice, nothing has come to light that would so much as suggest that ACA took any of those precautions in Atlantic City. Instead, it left more than one-hundred cats from thirteen colonies to fend for themselves during the deluge. If that were not bad enough, once the storm had passed ACA wasted no time in attempting to capitalize on the cats' hardiness. "The cats at the Boardwalk fended for themselves during superstorm Sandy, as all animals who call the outdoors home will do," the organization crowed in a November 2nd web posting. (See "End of the Week Update on Atlantic City Effort.") "Feral cats can live healthy, long lives outside -- and these cats were front and center proving it to the world." That is only part of the story because these cats were driven out of their homes by the incoming mountains of water, left with nothing to either eat or drink, and sans doute frightened out of their minds. Much more to the point, ACA never has disclosed how many of them either were killed, injured, or simply disappeared without a trace during hurricanes Irene and Sandy. 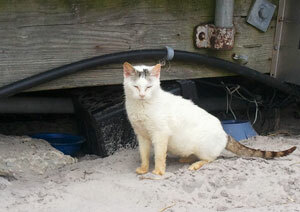 Only once such a public accounting is made can its stewardship of the Boardwalk cats be properly evaluated. Even then its desertion of them in those emergencies never can be either defended or forgiven. In its October newsletter, ACA at long last finally got off die Schneide and took the capitalist media to task for willfully spreading lies about cats. "More than one-hundred news organizations in the last six weeks have chosen ratings over facts, calling cats 'murderers' and 'killing machines'," it stated. (See "Stop the Lies -- Sign Our Petition.") "These reports are not only unscientific and incorrect, they're also dangerous, leading to more cats being rounded up and taken to shelters where they'll be killed. We have to stop it -- before the threat elevates and cats are killed." On the positive side of the ledger, ACA has stepped up its interventions in recent years and as a result the lives of countless doomed cats around the country have been spared. That is highly commendable and hopefully the organization will continue its activism. Nevertheless, its killing of Jared and mistreatment of both its office and Boardwalk cats reveals an altogether different side of the organization. Just as no self-proclaimed advocate for children ever would be taken seriously if it were revealed that she abused her sons and daughters, the same logic is equally applicable to ACA and its treatment of its cats. Actions, after all, speak considerably louder than words. More broadly speaking, the practice of killing cats should be outlawed across the board. For groups, such as ACA, and veterinarians to extinguish feline lives is not any different from the en masse slaughters perpetrated by shelters, Animal Control officers, PETA, wildlife biologists, ornithologists, the United States Government, and others. In this particular case, a good place to start would be with the prompt arrests of Robinson and her veterinarian. Perhaps ten-year stretches of hard labor behind bars for the both of them not only would sweat out some of the wickedness from their old, callous hides but deter others like them from killing aged, sickly, and injured cats who deserve, like all living creatures, to be treated and given an opportunity to go on playing the wonderful, albeit at times disconcerting, game of life. If against all odds civilization should somehow manage to survive for a few additional centuries, the misnomered practice of euthanasia is destined to one day be looked upon in very much the same vein as slavery and genocide are now viewed. Moreover, instead of living high on the hog as the result of their crimes, practitioners will be jailed and condemned as enemies of animals. In the meantime, the world continues to cry out for the emergence of its first legitimate feline advocacy group. A no-nonsense proscription on the killing, abuse, and exploitation of all cats coupled with an unstinting commitment to always be truthful and forthright are all that are required. That does not seem to be too much to ask but quite obviously that is not the case. ACA most definitely is not that champion of felines. On the contrary, in its present form it is a study in contradictions, inconsistencies, and half-truths as it staggers from one issue to another much like a Bowery wino bouncing off the lampposts in a half-blind search for his next swallow of rotgut. Jared first came to the attention of ACA back in 1998 when his previous caretaker ran afoul of the law for feeding him and several other cats. Hungry and desperate, the plucky cat distinguished himself early on by stealing a loaf of bread from her shopping bag. That trivial bit of larceny was not of any consequence because bread is plentiful and additional loaves always can be baked if needed. The same never can be said, however, for what ACA stole from him.